Omer Inan has been chosen as the Georgia Power Professor of Excellence for the Georgia Tech College of Engineering. 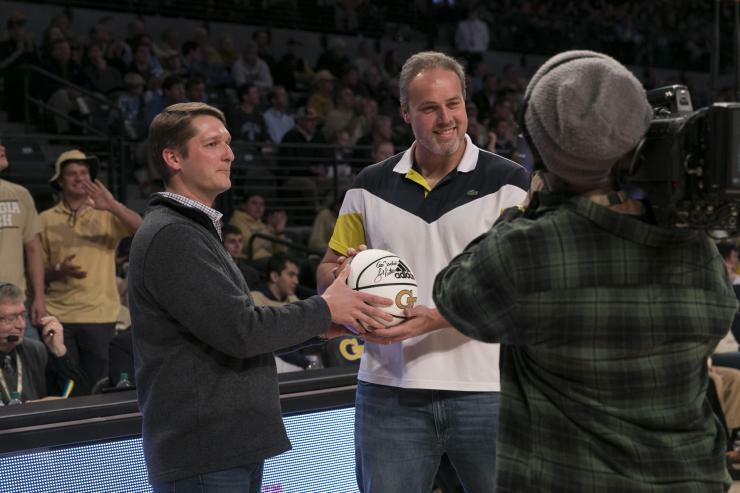 An associate professor in the School of Electrical and Computer Engineering (ECE), Inan was recognized at the men’s basketball game between Georgia Tech and UNC-Chapel Hill on January 29 at McCamish Pavilion. Georgia Power supports many initiatives through the state’s university system, and through a partnership with Georgia Tech, the company sponsors Georgia Tech’s Professors of Excellence, a special recognition of those professors who go above and beyond in their teaching, specialty fields, or communities. 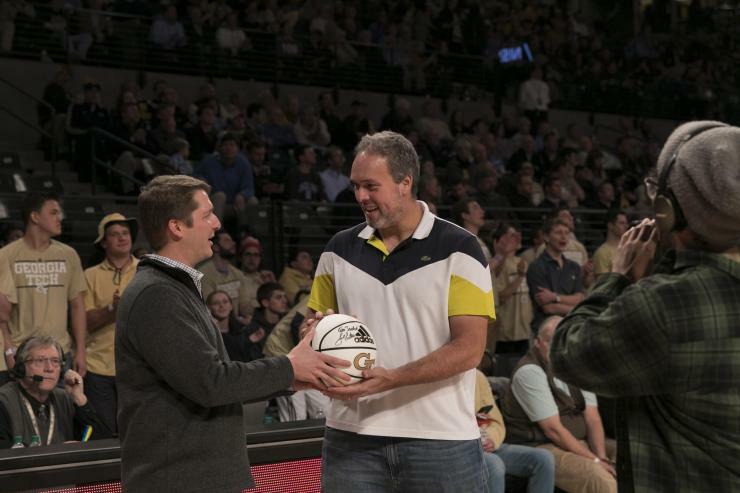 Inan was presented with a game ball during the first half and was congratulated by one of Georgia Power’s executive team members at a special ceremony during the game. Inan designs clinically relevant medical devices and systems, and then translates them from the lab to patient care applications. He brings his approach to research into the classroom, where he teaches courses in biomedical sensing systems, analysis, and instrumentation. Inan often has his students in his courses work in small interdisciplinary groupsto design, build, and demo novel sensing systems for health or wellness applications. In class, he uses graduate-student-led, hands-on workshops and problem-based learning modules to help students from a variety of engineering disciplines grow enthusiasm and excitement for applying their technical skills to addressing real-world health problems. Inan has been previously honored for his teaching with the Lockheed Dean’s Award for Excellence in Teaching and was named a Class of 1969 Teaching Fellow by the Center for Teaching and Learning.